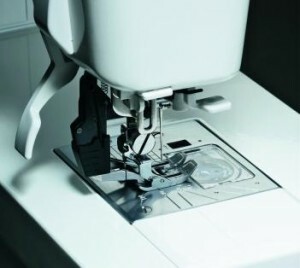 We provide sewing machine repair on all makes and models, commercial and domestic. How do you know if your paying too much and how do you know if the mechanic knows enough about your machine to do a good job.? In the 40 years I’ve been in the business of repairing and servicing sewing machines I have learned one thing; not all sewing machine repairmen are created equal. The most important thing to understand is that the sewing machines of today are more complicated to take apart than the machines of 40 year ago. The new machines have a clamshell design, making them difficult to take apart, on the older machines the lid and bottom cover pull apart and Ta-da! everything is exposed for you to work on. How often should you have your sewing machine serviced? That will depend on how many hours you sew and where is the machine is sitting; for example, if you sew in front of a window like so many sewers do the heat generated by the sun and the window can accelerate drying out of the moving parts which already create friction on their own. Once a year is usually sufficient in most cases. It’s really important not to make things worse by just putting a lubricant on top of old dirty oil because you just end up with more dirty oil. The best way is strip the machine of all the old dirty dried up oil and than apply lubricant to a clean surface. Back in the day we were able to use lacquer thinner because the machines were mostly metal but today’s machines are not so you have to choose your solvents carefully. Often we have to let the machine sit over night to soak into the bushing and casting and hard to reach places. Regular maintenance can prolong the life of your machine. 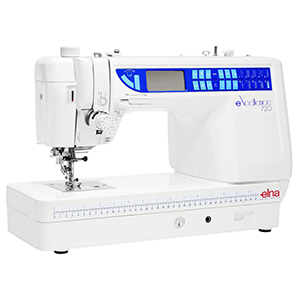 I have been factory trained by Viking, Singer, Pfaff, Janome, and Elna. That training has enhanced my abilities to work on other machines including Brother, Bernina, Necchi, Sears Kenmore, Montgomery Wards, JC Penney, Baby Lock, Riccar, and many more. We carry genuine parts and accessories for most machines. All of our repairs come with a one year warranty. Feel free to call and we will answer any questions you may have. Call (775) 537-MARK (6275) or contact us online today.